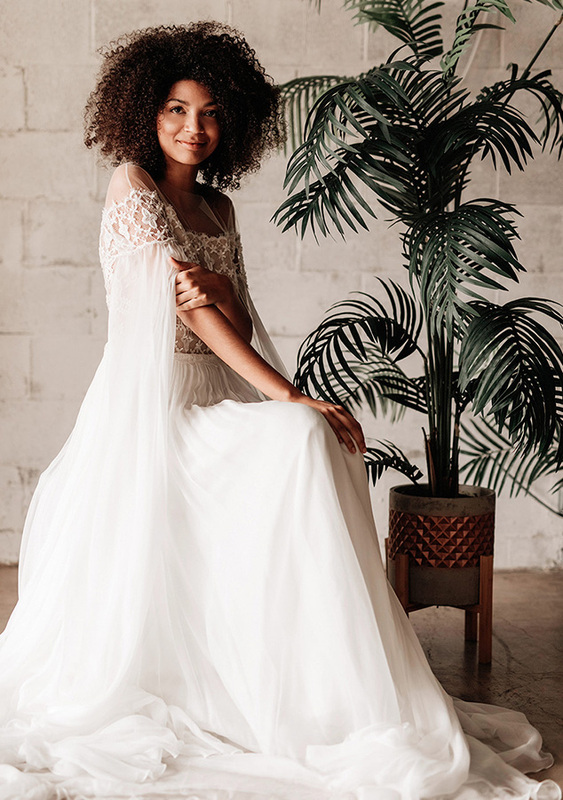 Created out of passion for fashion, skillfully crafted by talented artisans, Divine Bridal gowns are romantic characters that reflect the vision of the poetic, eclectic and sophisticated lifestyle! The Divine collections embed precious fabrics, noble lace, and misty silk, all with hand-crafted touches of ingenuity. We’re especially proud to carry Divine dresses because they are all designed and made in our home country of Romania!